As King’s gets quieter for the Christmas period, we would like to remind you to turn off all lights and non-essential equipment at the plug if you are the last one to leave the office for the Christmas period. Please plan how you will shut down all unnecessary equipment in your area of work. Remember to switch off your computer, laptop and monitor, office lights and desk lamp. However, please be cautious with equipment such as fridges, freezers and research equipment. You can contact the Sustainability Champion in your area for more information or if you’re unsure about what action to take. Take a look at our switch off posters for laboratories here, and our offices here. By switching off your electronics over the Christmas period, you will be helping the university to support its commitment to worldwide environmental responsibilities and the Paris Pledge for Action. Switch off the hot water boilers, kettles, microwaves and water coolers. Empty and switch off or turn the cooling temperature to low. Switch off at the socket; a photocopier on standby overnight can use enough energy to make 30 cups of tea. Switch off at the socket. Turn off tightly and report dripping taps to the Service Desk. Ensure all are shut firmly. Please ensure the sash is closed for either equipment. Turn off all safety cabinets. For fume cupboards, clear out if possible, do not leave any equipment in operation, and set your fume cupboard to ‘low-flow’ if applicable. As a global university, King’s College London is entirely committed to its worldwide environmental responsibilities. King’s is an initial signatory of the Paris Pledge for Action, which supports the agreement made at COP 21 (21stConference of the Parties, United Nations Framework Convention on Climate Change) to limit global temperature rise by less than 2 degrees Celsius. By switching off your electronics over the Christmas period, you will be helping the university to support these commitments and to achieve its goal to reduce carbon dioxide (CO2) emissions by 43 per cent by 2020 from a 2005/06 baseline. Have you ever wondered what happens to waste once it leaves King’s? For recycling, the answer is in the name: once it is collected, it is sent to a Materials Recovery Facility (MRF), separated by type and quality, and packed up to be turned into new products. Last year, we visited Veolia’s MRF in Southwark, London, to have a look at the processes involved. You can read about our experience (and see us all in high-vis and hard hats) here. But what happens to all the stuff that can’t be recycled? This summer, we visited Grundon to find out. Grundon collect waste from King’s laboratories that cannot be recycled or recovered through traditional methods. Instead, it has to be incinerated at high temperatures in a clinical waste incinerator. In two chambers, the waste is burned for several hours and at temperatures of up to 1,100 degrees Celsius. Gases are cleaned through a gas scrubbing system to reduce emissions of pollutants such as CO2. The heat produced through this process passes through the boiler and creates steam, which is exported to their Energy from Waste (EfW) plant nearby, and used to power a steam turbine generating electricity. After our visit to the clinical waste incinerator, we toured Grundon’s Energy from Waste plant. 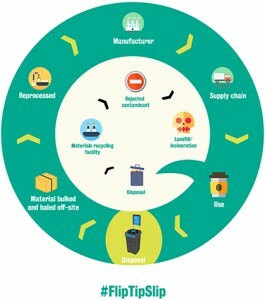 This is where general waste (e.g. the black bins at King’s, containing sweet wrappers, sandwich cartons, plastic film etc.) is processed. While general waste at King’s is collected by Simply Waste Solutions, not Grundon, the process is the same. Waste is collected in a tipping bay, where a crane picks it up and feeds it into furnaces. Like in the clinical waste incinerator, the heat generated is used to power a steam turbine generating electricity. The EfW plant we visited processes over 410,000 tonnes of waste every year, and generates 37 MW of electricity. A small proportion of this electricity is used to power the plant itself, while the remaining electricity is fed into the National Grid – enough to power approximately 50,000 homes. The ash that remains at the end of the process is used for road surfaces. This means that even though some things can’t be recycled, we can keep them out of landfill by using them to create energy. If you want to find out more about recycling at King’s, you can head to internal.kcl.ac.uk/waste, where you will find our full recycling guidelines. Our Sustainability Champions are an essential way for the University to reach its target of achieving a 43% carbon reduction by 2020. With laboratories using 3-10 times more energy per m2 than academic spaces making these areas as sustainable as possible is integral for achieving these targets. This is why our inspiring Sustainability Champions like Bernard Freeman, the Lab Manager from the Social, Genetic & Developmental Psychiatry Centre are so important. Bernard was nominated for a Green Gown award due to all the amazing work he has done to make King’s labs more sustainable and last week travelled to Manchester for the award ceremony. While Bernard didn’t win on the night we would still like to congratulate Bernard for all the amazing work he has done at King’s. In this role Bernard has helped to embed sustainability across the department, introducing pioneering sample tracking software which has helped to increase energy and cost efficiency of cold storage. As well as this Bernard helped to reduce waste from over purchasing by introducing a centralised purchasing system for 200 different types of laboratory consumables. Recognising the lack of training for both staff and students with respect to sustainable practice in laboratories, he engaged the University Sustainability Team to develop training materials. Energy efficiency and sustainable management of waste and resources now form a key component of inducting researchers into his laboratory, and staff leaving the laboratory have continued these practices in laboratories beyond King’s College London. Well done Bernard, and thanks for all of your hard work! If you would like to find out more about becoming a Sustainability Champion contact us at sustainability@kcl.ac.uk. Hello! Well, where do I start? I’ve been tasked to sort out all of your rubbish – which may be seen as a massive ‘waste’ of time. Okay, I’ll stop with the waste puns right now. My formal title is Waste to Resource Project Coordinator, which entails me helping King’s to achieve it’s 2018/19 goal of recycling 70% of all its commercial waste, along with aligning waste practices across the King’s estate. Since joining the team in August 2017 I have implemented coffee cup recycling across certain sites with the message that “King’s is taking responsibility for the waste it generates”. It’s important that the University looks to mitigate its effect on the environment and this a great way to get the ball rolling and promote a circular economy. I am currently working with the newly appointed waste provider, Simply Waste Solutions, to rationalise the bin systems we have in place to ensure our cleaning team have the tools to achieve our 70% recycling goal. Once this has been accomplished I’ll be looking at the bin provisions within our buildings, ensuring that 70% of all the bins inside are designated for recycling, giving you a 70% chance of recycling your waste. “70” is the golden number and by applying this to everything we do I have no doubt we WILL achieve our target by 2018/19. I have been working alongside King’s for a number of years, helping to assist the cleaning team with the integration of non-chemical based cleaning products, and working on efficient waste management. I then migrated to the King’s facilities team at the Strand, working in Operations to improve student facilities including the roll out of Deluxe Bike Stands across the King’s Estates. I am always open to innovative ideas and pragmatic approaches to dealing with waste, so if you have any ideas please do get in contact with me. My email is josh.pullen@kcl.ac.uk or you can get in touch at sustainability@kcl.ac.uk. Away from waste, I’m also the Co-Chair of the King’s LGBT+ Staff Network promoting Diversity & Inclusion in the institution and working with departments and faculties to promote a fair and comfortable environment for LGBT+ people at King’s. If you are a staff member and would like to hear about events, volunteering opportunities or just meet up with fellow LGBT+ colleagues email lgbtnetwork@kcl.ac.uk to join the newsletter. From 1 October 2017, all electricity directly purchased by King’s is supplied from wind power backed by REGO (Renewable Energy Guarantees of Origin) certificates. 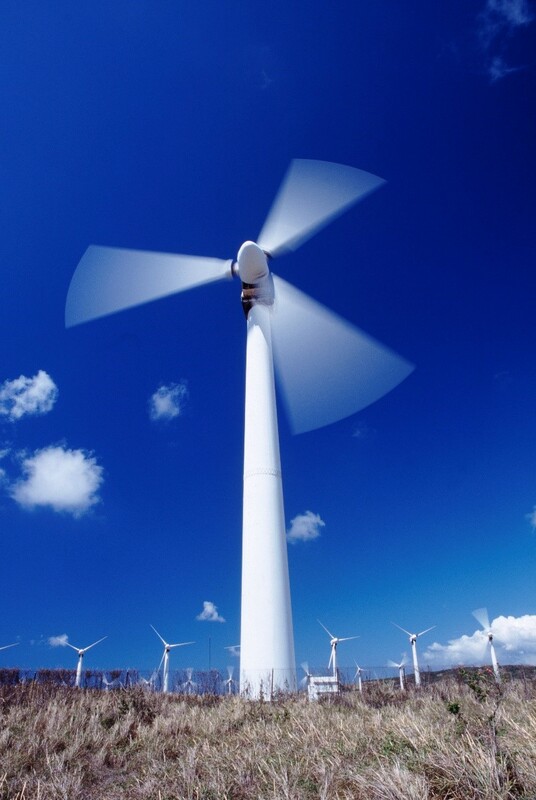 Wind backed REGO certificates guarantee that our electricity is supplied from UK renewabl e wind sources, making our electricity carbon free. This includes electricity supplied to King’s directly from our energy suppliers, but excludes electricity provided by NHS Trusts on campuses with shared space. King’s has a target to reduce CO2 emissions by 43% by 2020 compared to a 2005/06 baseline, and is committed to becoming carbon free by 2025. Purchasing renewable energy is a significant step towards this goal. In addition, King’s has made significant investments in low-carbon energy on campus in recent years. Several buildings, including Great Dover Street Apartments and Champion Hill, are equipped with solar panels, and Denmark Hill Campus and Champion Hill have Combined Heat and Power (CHP) plants on site. So far, King’s has achieved a 26% reduction in CO2 emissions by 2015/16 against a 2005/06 baseline. A recent report by Brite Green placed King’s in second place for carbon reduction within the Russell Group. The report also showed that King’s has successfully decoupled growth from growing carbon emissions, with emissions intensity (tonnes of CO2 emitted/£ of income) falling by 59% since 2008. This was the seventh best across the 127 English universities analysed. One of the biggest issues affecting the goals around sustainable development is worldwide poverty. 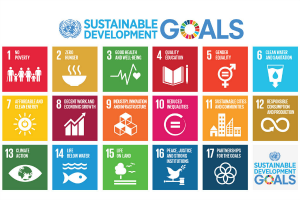 The call to end poverty runs throughout the UN’s Agenda 2030 for Sustainable Development, where the overarching theme is to achieve inclusive, people-centered and sustainable development, making sure that no one is left behind. The eradication of poverty and the desire to create sustainable development are closely linked. 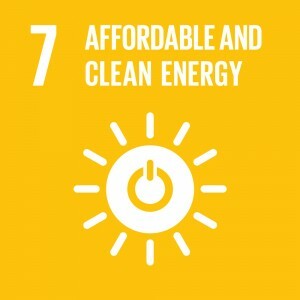 The UN actually says that tackling this global challenge is a crucial requirement for achieving sustainable development. So why are poverty and sustainable development so closely linked? The World Bank predicts that the amount people in poverty will grow from 702 million worldwide to around a billion by 2030. On top of this, the impact of climate change has the ability to force an additional 100 million people back into poverty over the next 15 years. This is because climate change could cause crop yield losses as large as 5% in 2030 and 30% in 2080. The impact of this in places like Sub-Saharan Africa means that food prices could be around 12% higher, which could have a devastating impact on poorer households, who already spend around 60% of their income on food. With agriculture being a main driver of the economy in poorer countries, it’s essential to develop sustainable agricultural practices that will not only help to end extreme poverty, but also achieve food security and promote sustainable economic growth. This is why tackling poverty is integral to sustainable development. Helping to create more sustainable agricultural practices means we can help poorer communities out of poverty, and will ensure the well-being of rural communities and ecosystems. Ultimately, helping to raise people around the world out of poverty will not only help make sure that they can live in dignity, but will help to protect the planet from degradation and foster peaceful, just and inclusive societies around the world. In a week where we have celebrated both World Food Day, the International Day for the Eradication of Poverty and the International Day of the Rural Women, it’s more important than ever that we understand the connection between food, poverty and sustainable development. Find some helpful tips and actions to make your life more sustainable here! I have recently joined the King’s Sustainability Team as their new Sustainability Projects Assistant. The passion and drive in the team to make King’s as sustainable as possible is palpable, and I am excited to be part of a university that is dedicated to embedding the ethos of sustainability across all of its practices. For the last year I have been studying for my masters in Environment, Politics and Globalisation at King’s. I decided to study environmental politics after spending 5 months backpacking around India. I saw a lot of environmental damage happening there and I realised that tackling these issues was not just about the physical impact on the planet, but was also a way to create a fairer, more just society that could benefit everyone. From studying how we frame climate change, to looking into the impact globalisation has on the environment, I have only become more passionate about these issues in the last year and I believe in the importance of all different parts of society working together to find a solution to these problems. 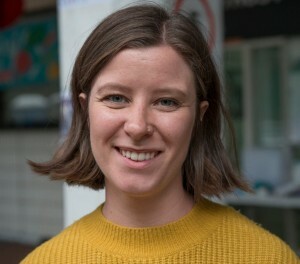 For my dissertation this summer I looked into air pollution policy in London, and the ways in which citizens are trying to take back control of these issues by monitoring air pollution levels in their local areas. What stood out for me during this project was the importance of democratising environmental knowledge; creating awareness, understanding what the problem is, and finding ways everyone can make a difference is key to empowering people to make positive change. This is one of the reasons that I think sustainability at King’s is so important. As a University we have a responsibility to make sure that staff and students understand the difference they can make on an individual level, as a part of the King’s community and also throughout our wider society. This is why I am so excited to start working on the Sustainability Champions programme, which will be one of my main focuses this year. The programme helps to embed the ethos of sustainability across campuses, departments and faculties, and helps both staff and students to understand how they can be more sustainable in their work life and beyond. So if you’re interested in becoming a Sustainability Champion, please do get in touch! I’m delighted to be able to continue my journey at King’s, and to help it become a more sustainable, environmentally friendly university. Most importantly, I look forward to meeting you all, hearing about your ideas and experiences, and working with you to make King’s as sustainable as possible! 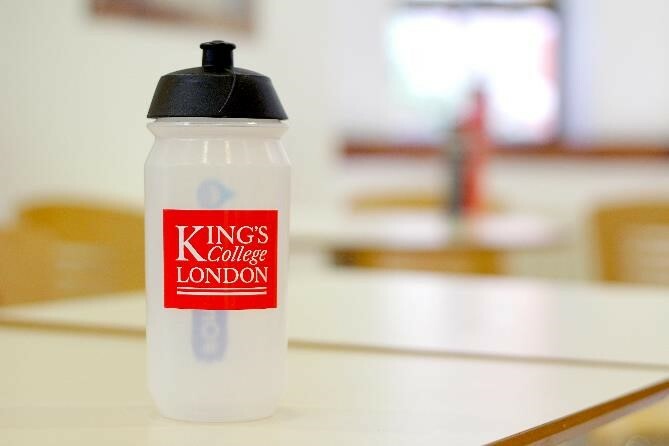 King’s branded reusable water bottles are now available to purchase at King’s Food outlets from 2 October 2017. These reusable plastic bottles are biodegradable, helping to further reduce our environmental impact and improving our sustainable catering. The King’s water bottles are available to purchase for £2.90. We are supporting the #OneLess bottle campaign to reduce the amount of single-use water bottles that are used at King’s. Adults in the UK use almost 7.7 billion single-use plastic water bottles every year, which is approximately 150 per person. There are a number of water fountains at the university, and though disposable cups can be found at King’s Food outlets, staff and students are encouraged to bring their own reusable bottle or purchase one of the King’s reusable bottles. 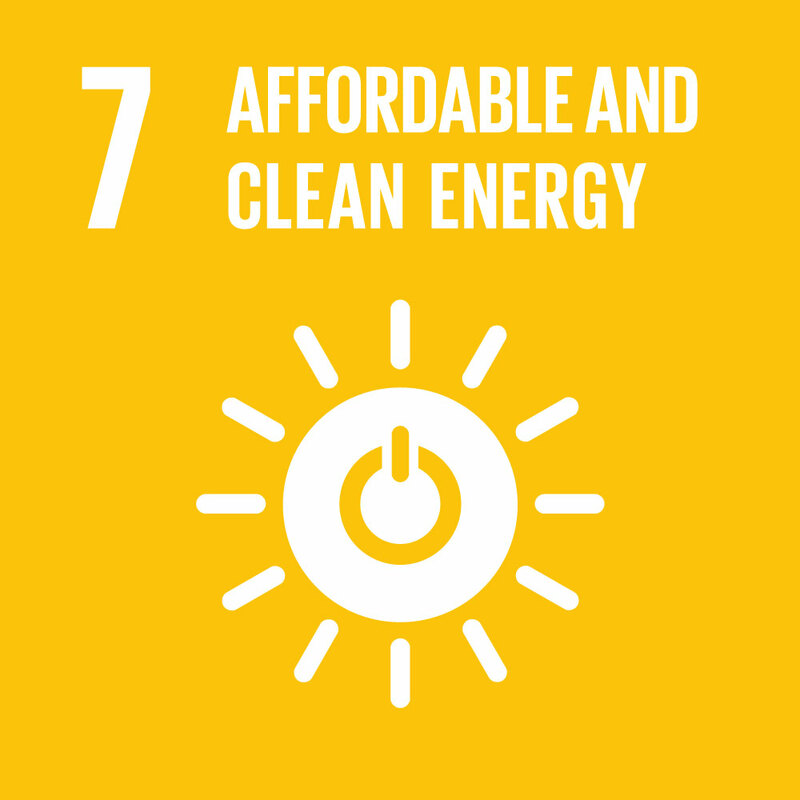 This year there have been a number of other sustainability achievements at the university. King’s became a member of the Sustainable Restaurant Association and in August was awarded with Fairtrade University status. Fairtrade food and drink that is available to purchase at King’s Food venues includes tea and coffee, sugar, muffins, chocolate and more. Coffee cup recycling bins were also introduced across the university in September to tackle the issue that disposable cups cannot be recycled with standard mixed recycling or paper recycling. Tips about eating and drinking sustainably can be found on our Sustainability pages. There is also a Fairtrade and Sustainable Food steering group which meets regularly and is open to all. If you would like to find out more, please contact sustainability@kcl.ac.uk. Starting this September, King’s will recycle coffee cups across campuses through the Simply Cups scheme. Coffee cups have been a hot topic this year. Ever since Hugh Fearnley-Whittingstall revealed that “doing the right thing” by putting our empty coffee cups in the mixed recycling bin might not be so good after all, there have been campaigns to tackle the problem. Disposable coffee cups are mainly made from paper. To stop them from leaking, the inside of the cups is covered in a thin plastic (polyethylene) film – and it is this plastic film that creates problems when it comes to recycling the cups. Paper mills can’t separate the plastic film from the paper, which means that millions of coffee cups placed in standard mixed recycling bins actually end up in incineration or landfill. Coffee cups are shredded, and the material is mixed with other recycled plastics to create new products – which can be anything from pens to park benches. Fibre from coffee cups is recovered by pulping them with ambient temperature water – due to the difference in density between paper fibres and the plastic film, the plastic will float at the top and is removed. You can read more about this process here. As a member of Simply Cups, we will now be able to recycle all disposable coffee cups. To recycle your cup, simply look out for the special coffee cup recycling bins across campuses. Once you have found your nearest bin, “#FlipTipSip” – Flip the plastic lid off the cup and place it in mixed recycling, tip any remaining liquid into the designated liquids part of the bin, and slip the empty cup into the collection tube. If you are based at Strand, you might already be familiar with the scheme. The Maughan Library is taking part in the Square Mile Challenge, a campaign to recycle 5 million coffee cups in the City of London by the end of 2017. After exceeding its April target of 500,000 cups, the campaign has recycled more than 1.2 million cups by the end of July. Manchester had a similar campaign earlier in the year – with coffee cups now returning as bird feeders, plant pot holders and chalk boards. King’s is working to increase its recycling rate to 70%. Combined with other initiatives, such as the introduction of food waste segregation from all canteens and the improved recycling guidance online and on bin posters, we hope the new coffee cup recycling scheme will help us achieve this ambitious target. Want to avoid disposable coffee cups altogether, and save money in the process? Use a reusable cup! King’s Food offer branded Keep Cups at their venues. You get a free drink when you buy a KeepCup, and a 10p discount every time you use it. And lots of other companies are doing it too – Starbucks, Pret and lots of independent coffee shops will also give you a discount if you bring your own cup! The Fairtrade Foundation has awarded King’s College London with Fairtrade University status. 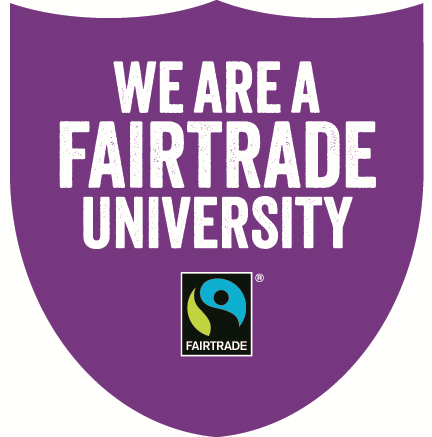 A Fairtrade University is one that has made a commitment to supporting and using Fairtrade. The Fairtrade mark is widely recognised, and means that a product meets the social, economic and environmental standards set by the Fairtrade Foundation. For farmers and workers, this includes the protection of workers’ rights and the environment; for companies it includes paying the Fairtrade Minimum Price and an additional Fairtrade Premium to invest in projects of the community’s choice. Over the last year, King’s and KCLSU have worked together to make King’s a Fairtrade University. A joint Fairtrade policy has been signed, committing the university and students’ union to supporting Fairtrade by providing Fairtrade products on campus and engaging students and staff in Fairtrade campaigns. Both King’s and KCLSU already sell a range of Fairtrade products on campus, including tea and coffee, chocolate, fruit and graduation t-shirts and hoodies. As well as making Fairtrade products widely and easily available to the university community, promoting the positive impact buying Fairtrade can have on lives across the world is a key part of being a Fairtrade University. During Fairtrade Fortnight in early March, Fairtrade was promoted through posters and special offers from King’s Food. Some Sustainability Champions teams got involved by organising their own initiatives, such as Fairtrade wine & chocolate tastings for their teams. To ensure the improvement of not only Fairtrade, but the sustainability of all food at King’s, a Fairtrade and Sustainable Food steering group meets regularly to discuss these topics. The group is open to all, and if you are interested in finding out more please contact us at sustainability@kcl.ac.uk. The Fairtrade University award ties in with wider efforts to make food at King’s more sustainable. Earlier this year, King’s Food joined the Sustainable Restaurant Association and signed up to their Food Made Good programme, committing to sustainable sourcing and practices, as well as ethical standards.